“I stayed because of how I want to see health care, how I want to treat pa­tients,” said Salmi. Now, along with spi­nal adjustments, she draws blood, does acupuncture and attends to nutritional needs. Dr. Salmi focuses on the whole per­son. She believes in a functional model of medical care, one that supports health rather than merely treats symptoms. She will spend an hour getting to know a new patient and will encourage them to tell her everything going on in their lives. Everything is relevant, she said. “I look at health as a triad,” she said. 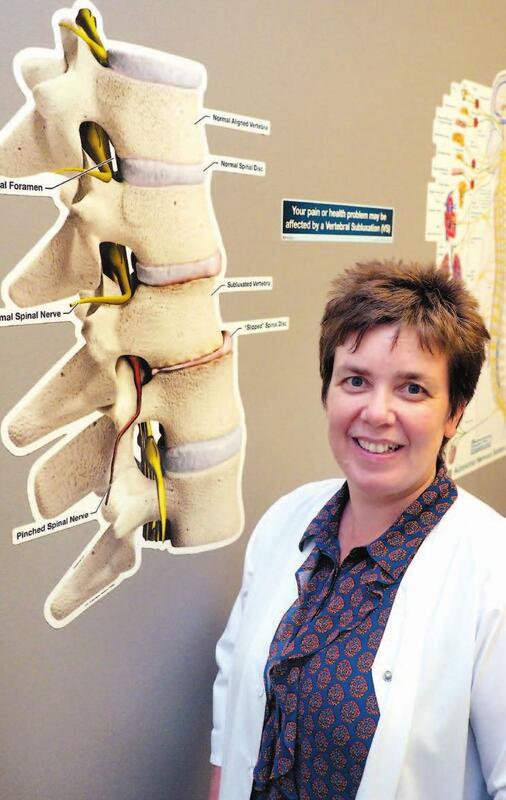 “Because people see me as a chiroprac­tor, they come in with their structural pain. The nervous system has to be in good shape for everything else to func­tion.” That is one side of her care triangle.